Another bi-month, another SirenSeaSA drop, this time local whole herring! What to do, what to do? 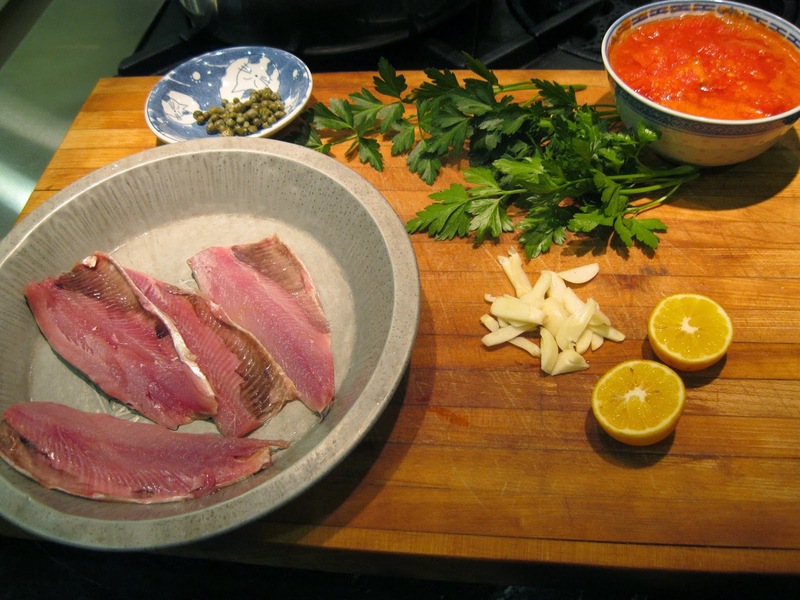 I'd never cooked with herring before. 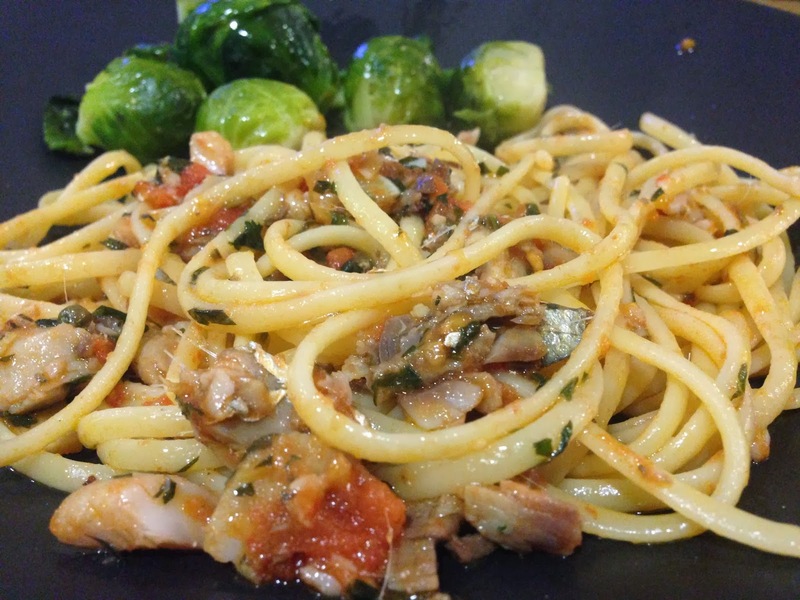 I found this neat Jamie Oliver recipe, Mediterranean-style herring linguine, on his web site and went with it. I've prepared pasta many times with fresh sardines but, although the herring we got looked a lot like sardines, once I started working with it I quickly realized the difference both in the anatomy as well as the taste. Usually with sardines filleting is simply a matter of holding the head back then using my fingers to pull the meat apart from the spine to fillet them. These herring, however, were quite a bit larger so required a real filleting technique. I placed the fish down on the counter with the belly facing me. Then using a *sharp* knife, I cut diagonally below the head and horizontally down the belly to separate the meat from the spine, then turned the fish around to do the other side. It'll take me a bit more practice, I think, to get a better feel for it. Boil the linguine in a large pot of salted boiling water to a minute shy of the package directions. Meanwhile, put a large frying pan on a high heat and add the olive oil. Once hot, add the garlic, pepperoncini, capers, and the chopped parsley stalks. Cook for a couple of minutes until just starting to color. 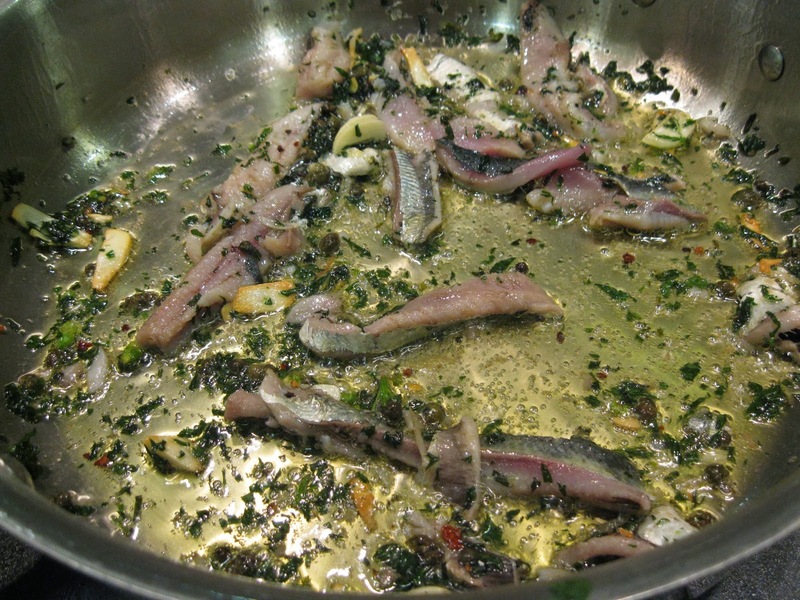 Add the herring strips to the pan and cook for 2 minutes and allow them to break down. Add the tomatoes and squeeze in the lemon juice. 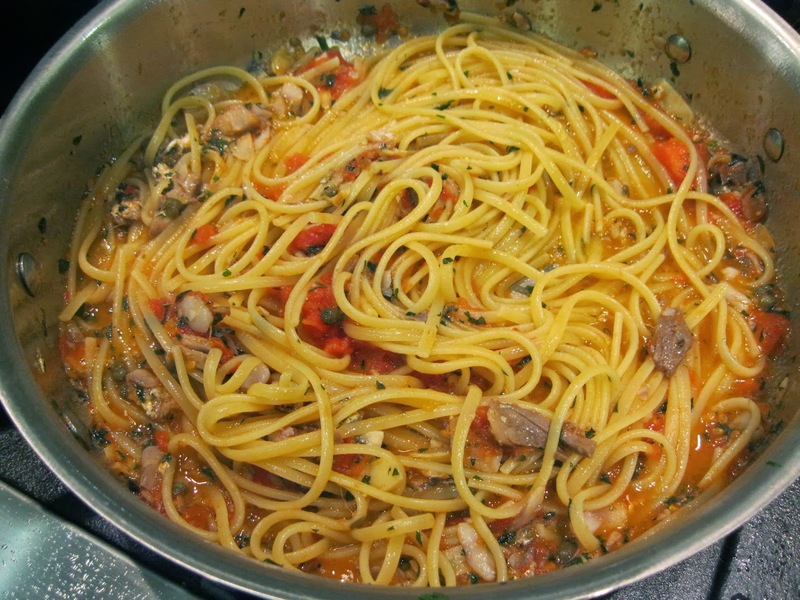 Save off some of the pasta cooking water; drain the cooked linguine then add into the sauce in the pan, adding a little of the cooking water with it to moisten; toss everything together in the pan. 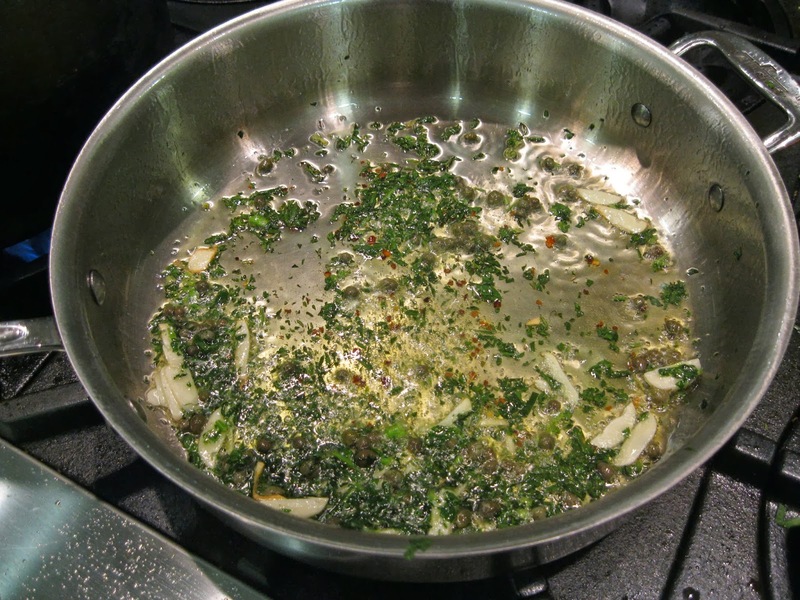 Have a taste, season with salt and pepper, add most of the chopped parsley leaves and a bit more olive oil. Mix again then transfer to a large platter. Scatter over the remaining parsley leaves then serve.